With Hope into a new year! 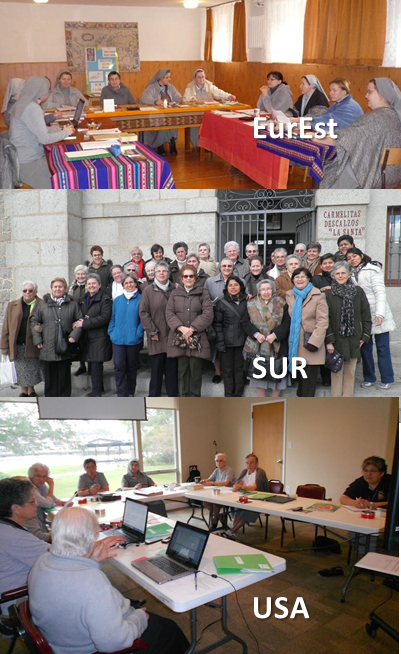 The end of the year was marked by the celebration of three general Assemblies in different Entities: in USA, East Europe and Spain Sur (the last one in the half of the governance’s term). The evaluation of the life and mission was a center of the reflection, prayer and study, in the context of the Restructuring process. It is a habitual space to also vision out the paths to follow in the coming three years. These are mainly: balanced spirituality and mission, relationships, openness to the restructuring process.